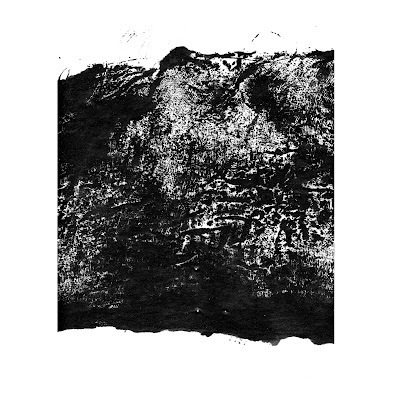 Mamiffer/Pyramids - split cassette - SIGE 017. A thirty five minute split from Mamiffer and Pyramids. Oversized tape box with custom packaging and a 28 page hand-sewn art booklet byFaith Coloccia. Edition of 100 copies. Mamiffer/Menace Ruine tour still underway. Thanks to all who have come and made this an enjoyable experience thus far. Looking forward to the rest! 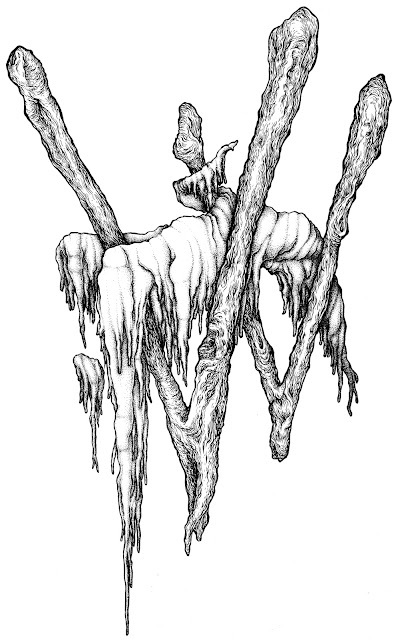 Above: Cover for the Mamiffer/Pyramids split, forthcoming on Hydra Head Records/SIGE Records/Daymare Recordings. Artwork by Faith Coloccia. You can listen to the album in full here, courtesy of Tiny Mix Tapes. 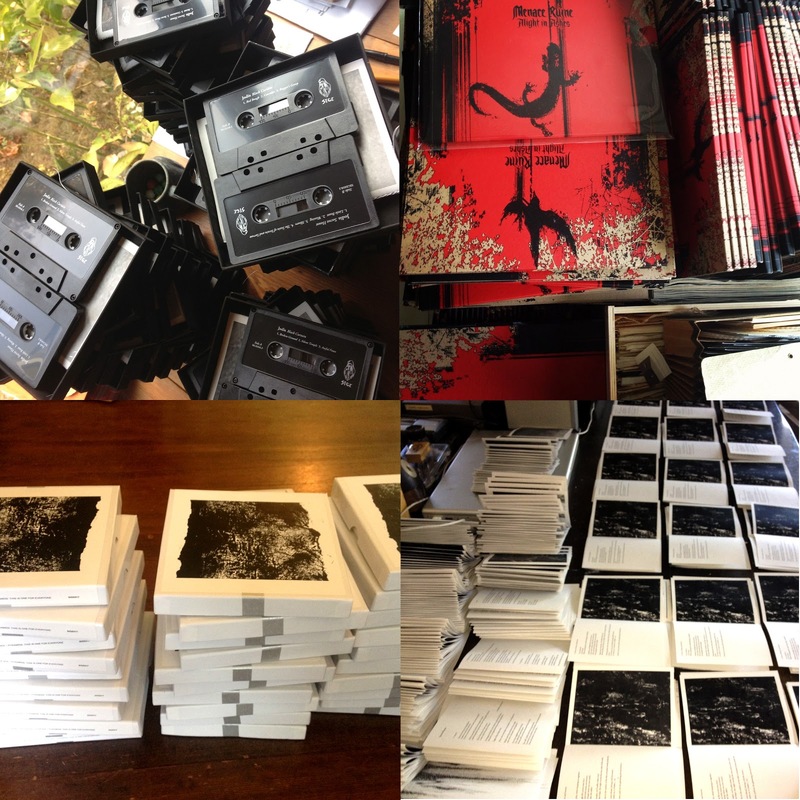 The LP (Hydra Head) will be available on 10/16, the tape (SIGE) and CD (Daymare) will be available 10/24. ...and unrelated, a new video by David Bellard for an old Lotus Eaters track cane be viewed here. Thanks David. 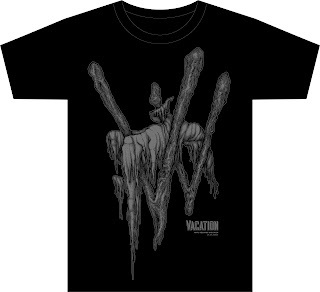 I've drawn and designed a new shirt for Vacation Vinyl in Los Angeles. The top image above is an approximation of the final design, below it the original drawing. 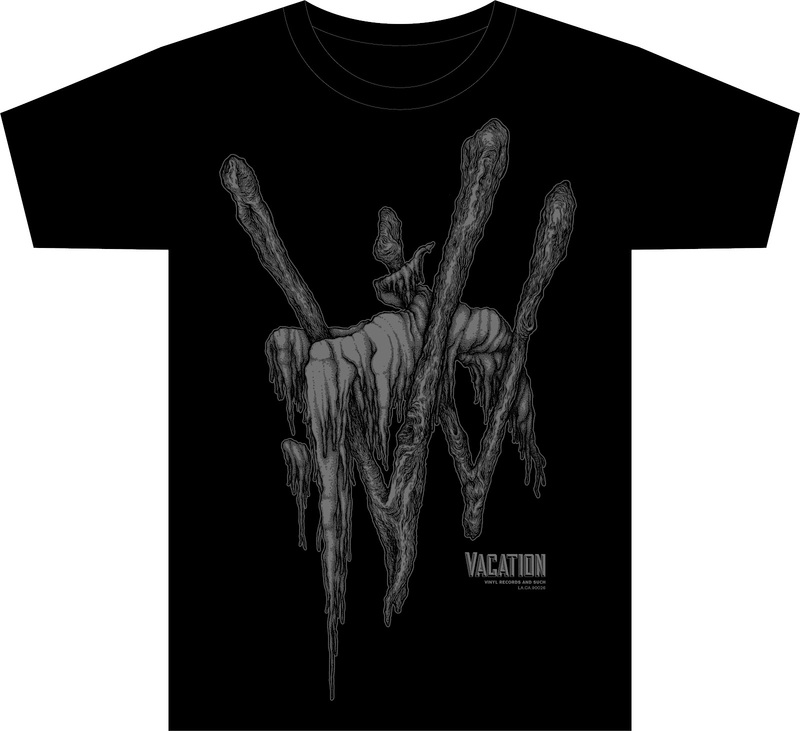 The shirt is available directly from the shop online or by going to the actual store. Thank you! Current listening: Swans "The Seer", Daniel Menche & Anla Courtis "Yagua", Raspeberry Bulbs "Finally Burst", Einsturzende Neubauten "Berlin Babylon", Janne Westerlund "Oran", Ambarchi & Brinkmann "The Mortimer Trap", Jesu "Conqueror", Circle "Serpent", etc.